On entering Buhere fishing village, on the shores of Lake Victoria in Namayingo district, you are welcomed by the sound of pick axes and stone crashers. You see people moving around with crushed ore, basins, hoes, pick axes and pails. That is when it strikes you that they are searching for gold all over the place. Before the discovery of gold flakes in Buhere, Bukana sub-county, 40-year old David Okumu was a fisherman. He had started fishing at the age of 22 after dropping out of school. 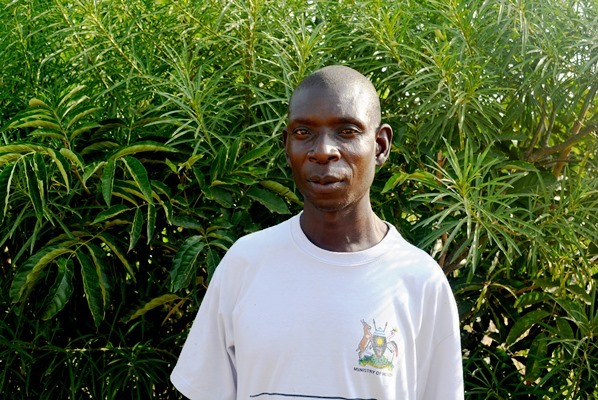 With income from fishing, Okumu bought a portion of land worth UGX 1.35m where he would grow his food. Several years later, it turned out that his land was on a gold deposit. 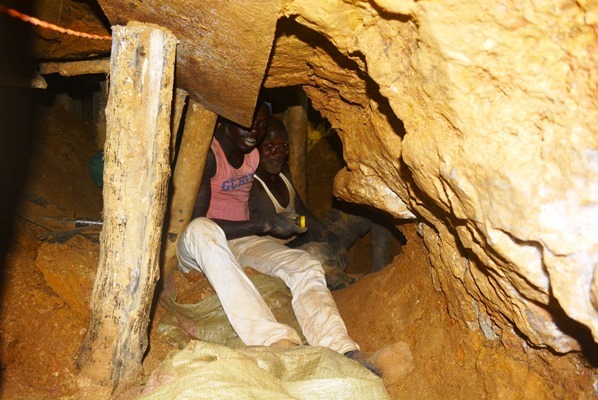 Okumu, who says he has no idea about gold and how to go about gold mining, rents pits to artisanal miners who pay him according to the size of the pit and the number of basins of ore from a prospective pit mined. The highly optimistic Okumu says that for the past five month of his involvement in gold mining, he has earned up to UGX 8.6m. “I was a fisherman for 18 years, daring crocodiles, deadly typhoons and the unforgiving police that used to extort money from us. The discovery of gold gave me a new life,” Okumu says. Okumu says with gold being finite, he has used his initial earnings to look beyond it. He has invested in commercial agriculture. His choice to go commercial farming is also backed by his fears that someday artisanal small scale gold miners will be driven out of business as government woes foreign companies. “We were warned by an NGO that we shouldn’t rely on gold because for we, artisans, it is a business of luck world over. So whoever hits a jackpot invests in other ventures,” he says. Oryema says that with gold prospects, the population in Bukana has increased which points directly to consumption. 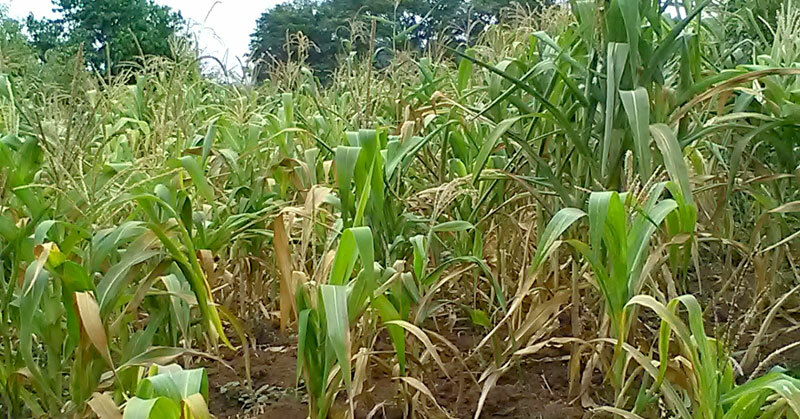 Oryema, who owns six acres of land, where he mainly grows maize, and keeps a few heads of cattle, says it is wrong for a community to think in one direction, rebuking those who have put all their hopes in gold. 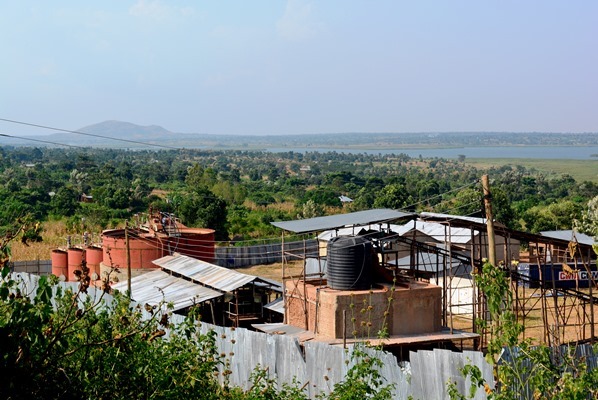 Edward Wandera, the Chairman of the village is apparently the biggest beneficiary in the area after bagging over UGX100m in artisanal mining. 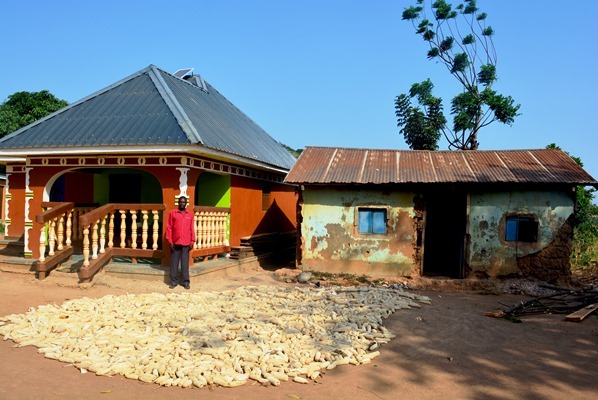 Wandera, who has now built a new house, says he has nothing to worry about except the number of pseudo companies that has entered into the gold business. There are four artisanal groups in Buhere which are supported by NGOs, empowering them to benefit from the sector. District official Ouma George Abot says that the district is working to organize artisanal groups and help them acquire prospective licenses so they can earn from the sector. Abot says that besides mining, the district is encouraging the locals to engage in other productive ventures, especially agriculture. There are no official statistics on the number of people engaged in mining activities at the district but the population in most of the mines is huge and continues to grow as more people desert fishing for gold extraction in anticipation of hitting a jackpot. Bukana is not the only village with traces of gold around the area. There is gold on Sigulu Island, in Nakudi Village, Banda Sub-county, Simasa, among others. A number of quasi companies are extracting minerals in Bukana with the district yet to earn any revenue. According to the mining Act of 2003, Article 18, for one to engage in the mining activity, they must first acquire a prospecting license for a period of one year to establish the existence of the minerals. Once established, one can apply for a location license for Ugandans with a share of 51% in the mining company and a mining lease for highly mechanized operations mostly by big companies. One must also hold a retention license if the mining lease is expired. Those buying and selling the minerals must be in possession of a mining dealer’s permit that is issued by the Ministry of Energy and Mineral Development. The State minister for Minerals, Mr Peter Lokeris, explains that the Ministry of Energy and Mineral Development will biometrically register Uganda’s artisanal and small-scale miners (ASM) in line with a new mineral policy. According to a House Budget Committee May 2018 report, biometric registration of the ASMs will cost $350,000 (about Shs1.3b) targeting 1,200 ASMs for a start but would register more and more with time.